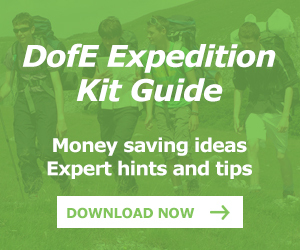 Discover all discounts from the DofE, including over 40 great offers on days out, travel, accommodation, clothing, sports and fitness and much more. Get a great deal and our partners will give a donation to the DofE charity. Discover all DofE Offers, including over 40 great offers on days out, travel, accommodation, clothing, sports and fitness and much more. The perfect multi-functional headwear for all seasons. Competitive learner driver car insurance from only £1.72 a day! 10% off spares and repairs for a wide range of tents and outdoor equipment.